So I love eating. I love food. I love healthy food. I love tasty food. I love junk food. Always have done. How am I not incredibly obese? Because I also love being in shape, being mobile, being as athletic as I can be. Always have done! I’m not even sure how this project really came about, I think it was just a whim. We had booked a weekend at Legoland with the kids, and having been there before I knew it was buffet heaven. Unlimited quantities of lots of variety of yummy food. And there was the timing, with it being the weekend after me competing in an Under 80kg competition called Bigger Stronger Faster (see what I did there?). This year, and this summer in particular, I have had strange success with physique transformation. Strange because I’ve been very active my whole life, competing in loads of different stuff and always taking training seriously. Yet approaching my 39th birthday, things were… happening. My body was in the best shape of it’s life, by some margin. More muscle, less fat, weighing less, getting stronger, getting fitter. The proverbial fountain of youth. And I FELT it. My god I felt it! But I’m not going to go into the theory I have for this happening, it’s a story for another time (I suspect it might be a while before I tell it), as it’s just that; theory. I have no data, no information, no numbers to present, no tangible markers of any kind. Just a theory, based on observations, correlations too strong to be coincidence. Anyway, I got myself into this kind of shape, which astounds me! Because at absolutely no point did I aim for this, it just happened. Obviously a by-product of numerous factors like nutrition, training, and the like, but I’ve been consistently doing these things for years anyway. Add to that, that I’ve always wanted abs like this, but never ever had them, to get them now is, well, out of the norm. So I knew I was going to be doing a weigh-in at a light category (I powerlift in the Under 83kg class, and often walk around at 82kg, whereas for the Bigger Stronger Faster competition and this photo, I had been walking around at 79kg, the lightest I’d been since I was about 22 years old), so then going to a place where the food is unlimited is the opposite of that, right? So why not turn it into a mini objective, see how much weight I can gain in a weekend! I mentioned I was going to make a video journal of how much weight I can gain in a matter of days, and people took interest, but also wanted to see the journey back down again too, which is fair enough. So basically the video starts on the morning of the day I head to Legoland (Friday 2nd October 2015), follows my buffet adventures there, then sees me back to reality for 5 days up to and including a weigh in for a bodyweight relative competition the following Saturday (10th October 2015). The entire timeline of the change from this photo (26th September 2015) to the end of the video (10th October 2015) is just two weeks…. And the changes on the scales in that time are shocking, if not unbelievable to many. But do bear in mind short term change is usually temporary anyway, it takes consistency to make change permanent. But if you can keep up the intensity I demonstrate in the video for a longer time period…. Well on one side you have a serious health issue (actually both sides!) in weight gain, on the other you have the discipline to try a physique competition, which I’m now having serious thoughts about…. If only to show that you don’t need to ‘body build’ to build a body. Just not sure I have it within myself to shave or wax my entire body and then go full tan! The total opposite of my normal look! Anyway, I hope this video has the intended effect of opening eyes, raising questions, causes concern, and generally makes you challenge everything a bit more. And if you just think I’m a total idiot, you’re probably right! February 2019 PTS Monthly Challenge scores! Tyre Flips! 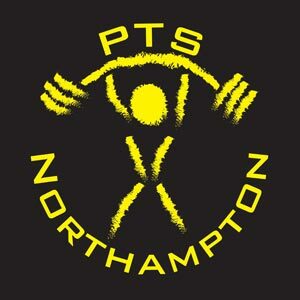 East Midlands Strongest Novice 2019 Results!